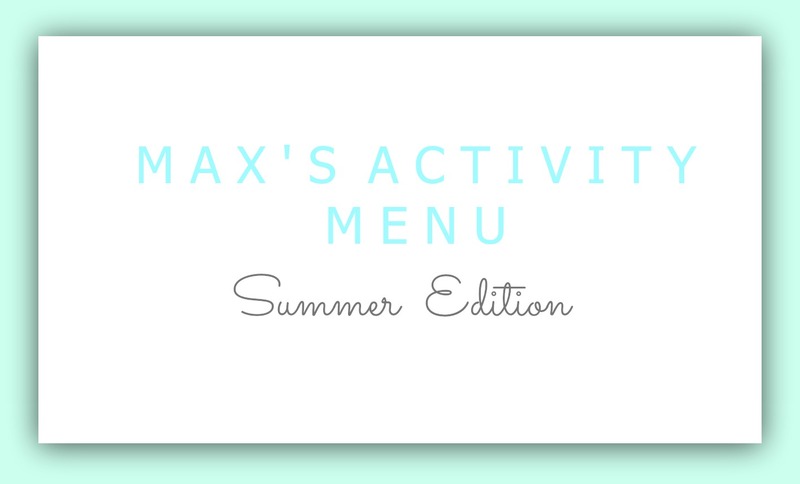 I posted quite a while ago Max’s Baby Class Menu and got such a great response from you guys. So I thought I would update you all on what Max and I get up to now he’s a fully fledged toddler and we can finally be outdoors due to this gorgeous weather we’re having. He has ALOT more energy and seems a hell of a lot more inquisitive. I’ve kinda had to up my game! I like to kick off our week with an early morning swim. We’re now members of a David Lloyd’s health club which means we can swim as much as we like, they even have an outdoor pool and indoor soft play. After our swim Max likes to explore the soft play before he sits down for his after swimming snack. In the afternoon after nap time I like to keep things a little more chilled especially as swimming uses up a lot of energy, so we usually head to the park. Max absolutely adores the swings and slides and has such a blast crawling around whilst watching all the other children. In the morning we head down to our local church for a playgroup session. There’s two rooms one for under ones and another room dedicated to toddlers. There’s plenty for Max to play with including toy kitchens, bikes and arts and crafts. Once Max has had his afternoon nap we take a walk to the park and play catch with his favourite ball, we can spend hours doing this. YAY for the Summer months making life so much easier for us mummies! Is all about being outdoors (weather dependant of course) I love Bushy Park for this as there’s a cute little area in the park with a cafe, stream and plenty of space for Max to crawl around exploring. If the weather isn’t so fab we then drive to our nearest soft play for a couple of hours. Max is obsessed with soft play and in particularly loves the massive ball pit they have on offer. He’s ball obsessed! Another morning swim at the gym for Max. He loves being in the water and it really tires him out and sets him up for a great day. After his swim we stop for a snack and head outside to play on the swings and slides. I try to keep Friday’s as chilled as possible mainly due to the upcoming weekend which tends to be super busy. If the weathers nice I like to take Max out for a picnic in Richmond Park. We try and sit by the grazing deer which gives Max plenty to look at. Although I have cut down on the number of baby/toddler classes we go to, the weather is just too warm and sunny to be stuck indoors. I’ve also found lots of fresh air and exploring really tires max out and he loves being at one with nature. He’s a typical boy! I would love to know what you get up to now the weathers so nice. I need some more inspiration! Lovely to see what you are getting up to now. We've cut down the baby/toddler groups for the summer months too as it's easier to do outdoorsy stuff.